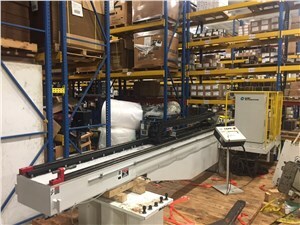 Robots for injection molders come in as many configurations as the parts they produce from simple pick and place robots to complex 5-axis robots. The important things to consider when purchasing a robot are what space you have available, the space you want the robot to reach into, how many axes your part requires (3-axis and 5-axis machines are common), speed in relation to mold cycles and total weight of product. Another consideration is weather you want pneumatic or servo motors. 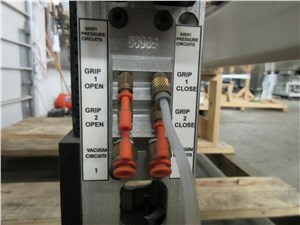 Typical robots found on the used machinery market include Yushin, Star, Whitman and Conair.